Our goal here at Mighty Oaks Farm is to provide you with healthy, locally grown or farm-made items. Take a look at our current offerings and be sure to check back for new products. Thank you for taking the time to support your local (or maybe not so local) family farm. You are a blessing we count every day! Chicken: see chicken tab under “Shop the Farm” for more details. Pork: see pork tab under “Shop the Farm” for more details. Beef: see beef tab under “Shop the Farm” for more details. Made here in our farm kitchen with our own organic eggs. Make sure to call and order ahead as we make loaves fresh, never previously frozen. Our semi-famous Cinnamon Buns are made to order. Order deadline is Thursday to be picked up on Friday or Saturday. These Cinnamon Buns are fresh when you receive them and are especially tasty when heated up in the oven for 3 minutes or individually in the microwave for 10 seconds. 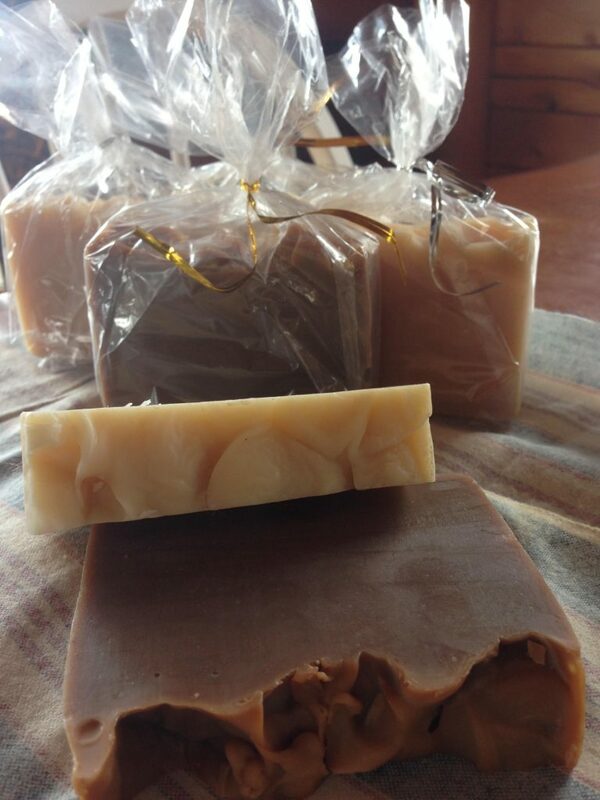 Our soap is hand made and hand cut which adds to the character of each bar. All made with goats milk, olive oil, castor oil, palm oil, coconut oil and essential or fragrance oil. Current Available Scents: Cucumber Melon, Sweet Potato & Brown Sugar, Cracklin Birch (the farm favorite) and Apples & Oak. Thank you for your interest. As always, if you have any questions please see our Contact page for ways to ask. Quickest response is always a text at 207-459-0336.